Here are two egg cups made by Gempo Pottery in the early 70s; this is grandma and grandpa. I now have collected the entire family [see previous post] of all six family members, but this pair of ‘ma and ‘pa are different to my others: it seems each family member came in a few different designs. The hippo mug also hails from the same time – he is quite stylised and quite spotted! Since collecting this hippo mug I found a koala mug, and talking to another Gempo mug collector there seems to be a large range of Gempo animal mugs [cat, dog, bear, pig.] I also have a Gempo lion money box. Here are two egg cups made by Gempo Pottery in the early 70s. The egg cups feature the abstract, large –faced form that marks all Gempo pottery. They are also particular to their period; with stylised features, and the stoneware pottery glazed in rustic creams and browns. Since taking the image for this post, I’ve found another set of egg cups: this time it’s a boy and a girl. Collect the whole family! 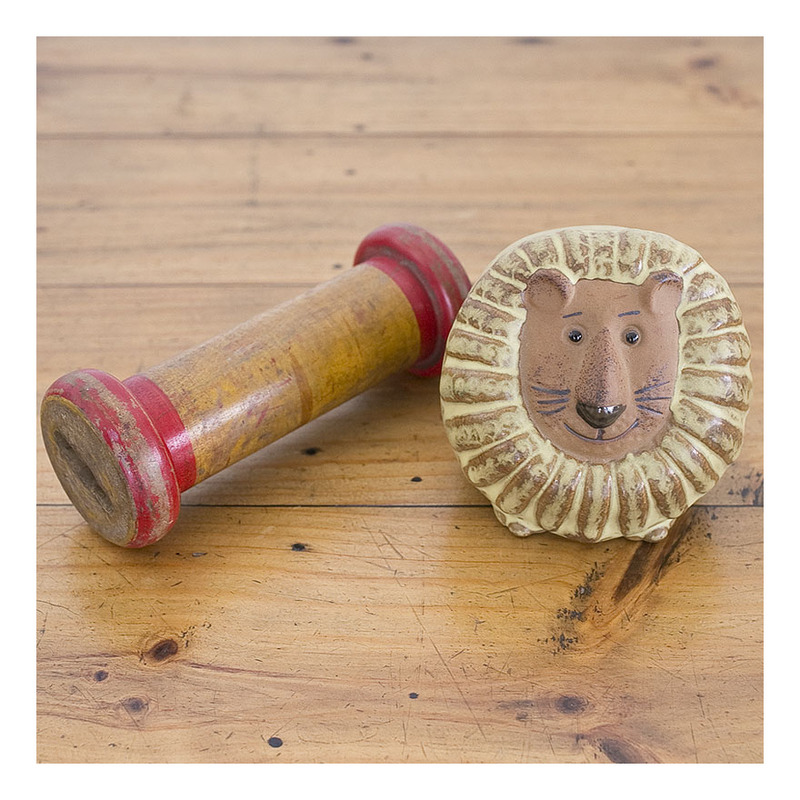 Avid readers will remember the Leo-the-lion Gempo moneybox posted previously. 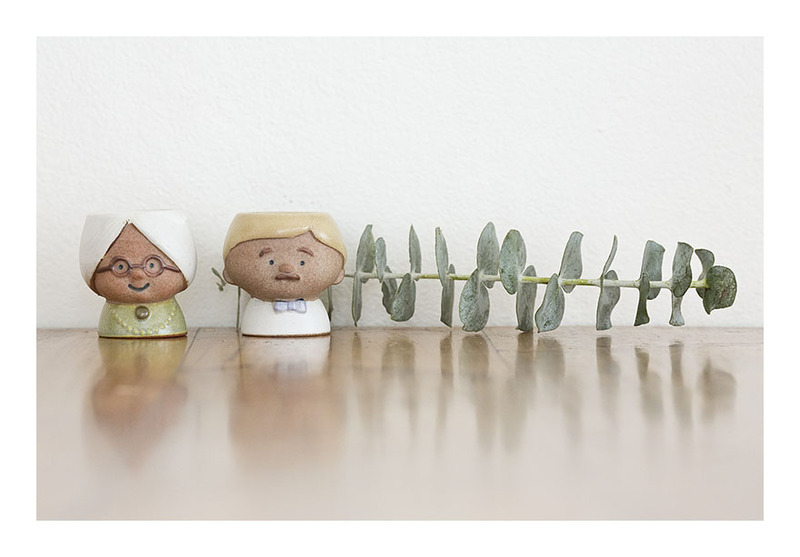 This set of eggcups is for sale: $AUD40- but let me know if you’d like to discuss the boy & girl eggcup set also.